Qualification ; Intermediate/+2 with Diploma in the discipline of Medical Laboratory Technician from a recognized U.P. Medical Faculty. Age : Upper age limit for all category candidates must not be more than 40 years as on 01st July, 2016 and lower age limit is 18 years. 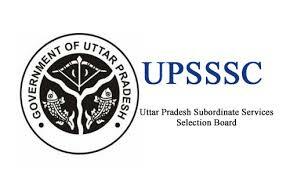 Selection Process : Uttar Pradesh Subordinate Service Selection Commission (UPSSSC) will conduct a written test and interview. Closing date to register online application (Part I) is 01st October, 2016. Closing date to register online application (Part II) is 05th October, 2016. Salary : Pay Scale for these vacancies must be Rs.5200/- to Rs.20200/- per month with Grade Pay of Rs.2800/-. How To Apply ; Department requires online application forms. Closing date to register online application (Part I) is 01st October, 2016. Closing date to register online application (Part II) is 05th October, 2016.